For our last episode of the bunch, we have a Kevin story! No wait, come back! Look, think of it this way. 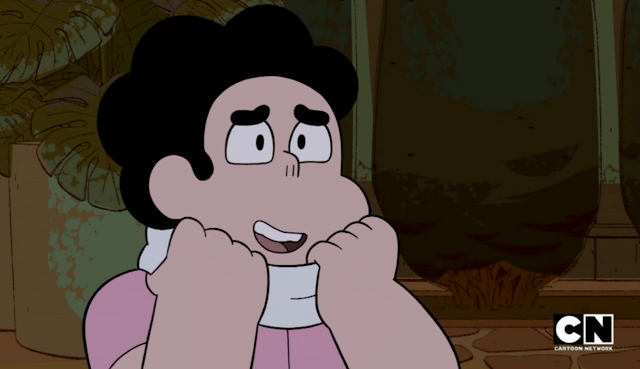 When there's Kevin in an episode, there's Stevonnie in an episode! You like Stevonnie, right? Sure you do. 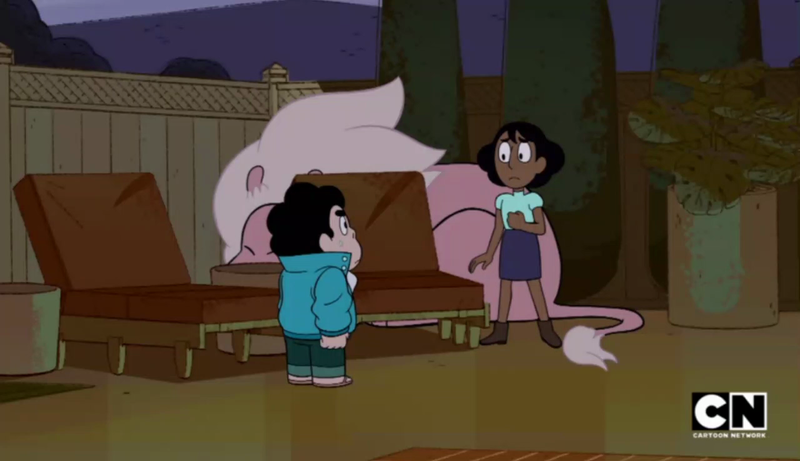 The Crewniverse wouldn't tease us on this. Let's dive in! This poster is perfect. The cute picture. The perfect text. The sad little stars. The lack of an actual phone number, presumably because everyone in Beach City already knows it. But Steven, you know where Lion is, or at least who you saw him with last. 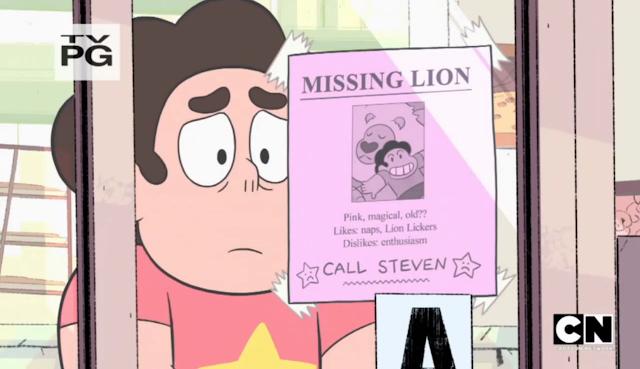 Is this an elaborate effort to get Connie to call you? 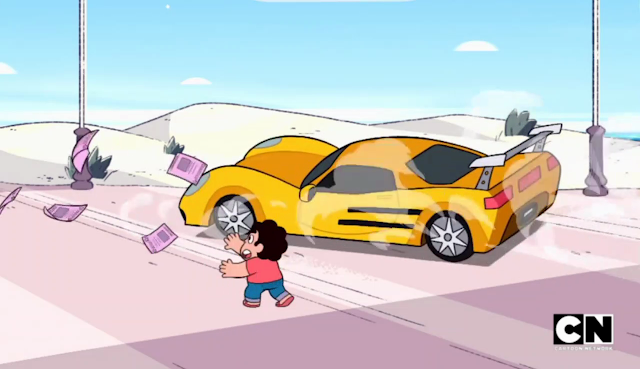 Oh my heck, I'd know that car anywhere. 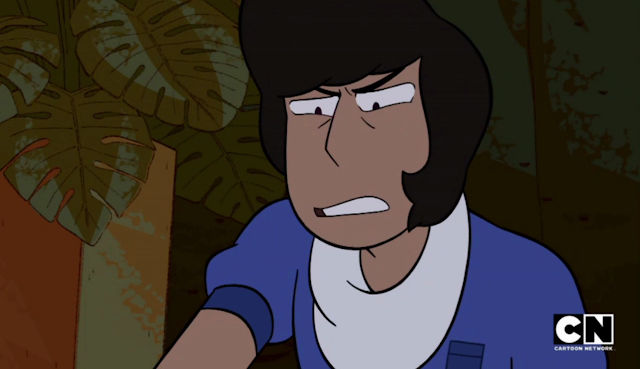 Kevin's on the scene to be full of himself and antagonistic to Steven again. You watch. The first words out of his mouth are going to be all about how great he is. ... huh. Ok, gotta admit that threw me a curveball. 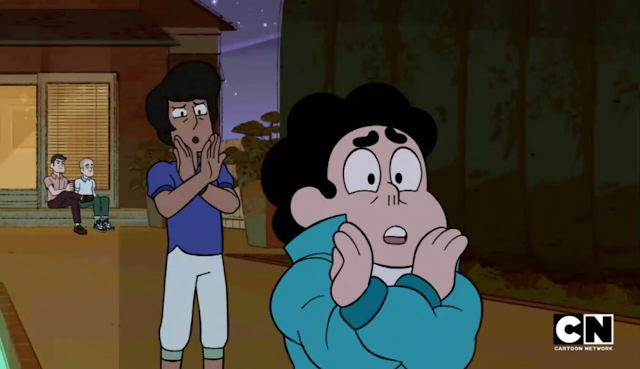 Kevin's looking out for Steven? This can't end well. "All the coolest teens in Delmarva have RSVP'd! Except one. 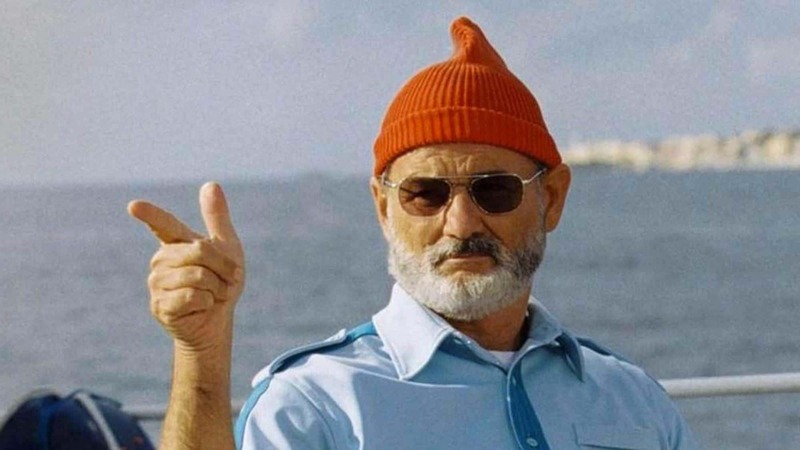 The only one cooler than I am." "Look, Stevonnie is better than me, okay?" Well that's not saying much. 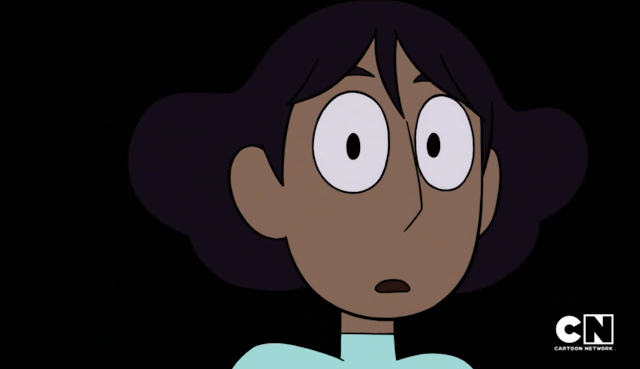 Stevonnie is better than everyone. Not up for debate. Steven, drop everything. Ah, you already did. Good, because you're going to that party and you are fixing this. 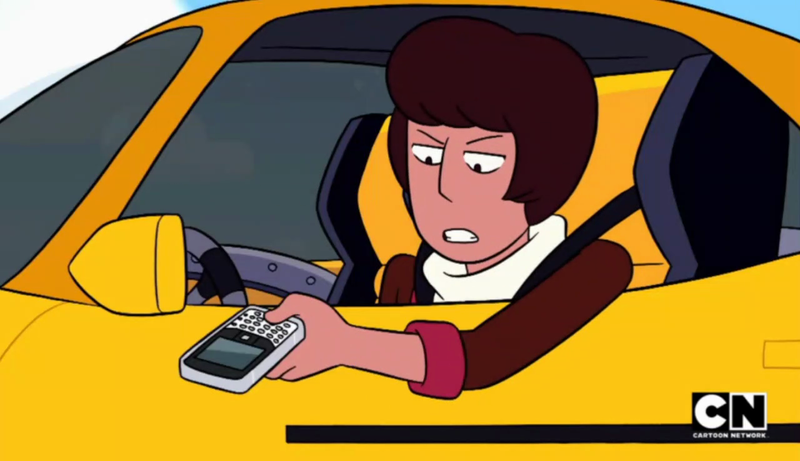 Heh, Kevin uses a Blackberry Curve? I guess retro phones are cool now? 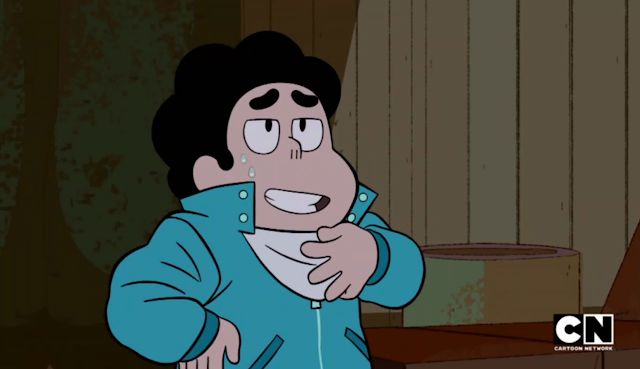 "Huh, your name's Steven? Weird. I thought it was Clarence." No Kevin, that's another show. Whoa, and we're at the party already. 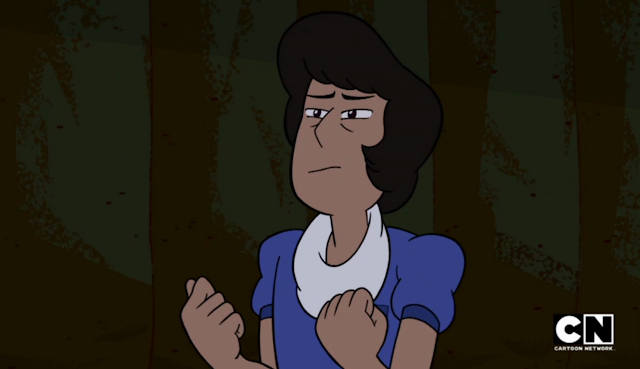 This episode doesn't mess around. 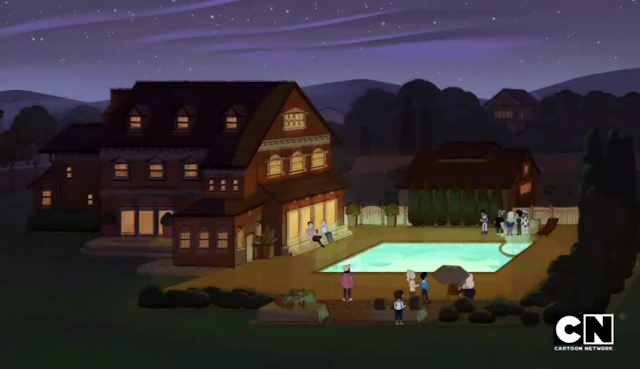 Also it's a nice house, Kevin, but I don't think I'd call it "palatial." Also your party seems to only have around a dozen guests in this shot. Guess the rest of them are just hanging out inside. Um, rude. 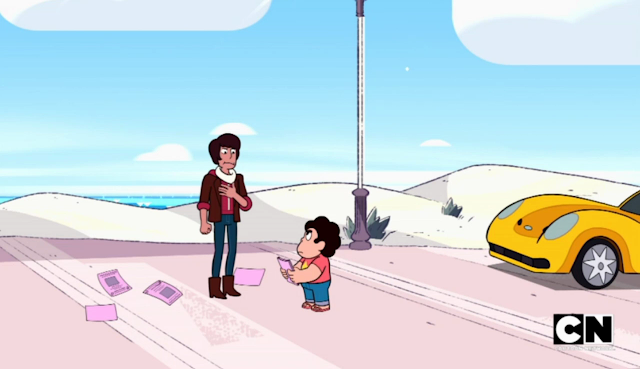 Look Steven, that there is your sign to stop wasting time with Kevin and go find Connie. "This party is lame enough as it is! Look at these people." 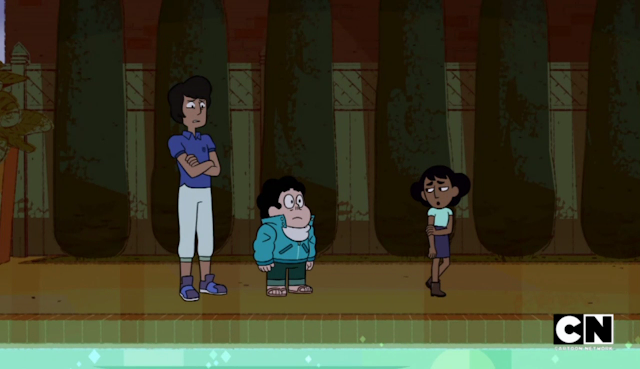 I could probably spend the rest of this followup playing spot-the-Crewniverse with this crowd. Thankfully, someone else already did! I did notice that Buck Dewey and company are conspicuously absent. "All" the cool teens in Delmarva, Kevin? When you didn't even get the actual Cool Kids? You've gotta be kidding me. "And their last words to their grandchildren will be 'Kevin throws the best parties!'" 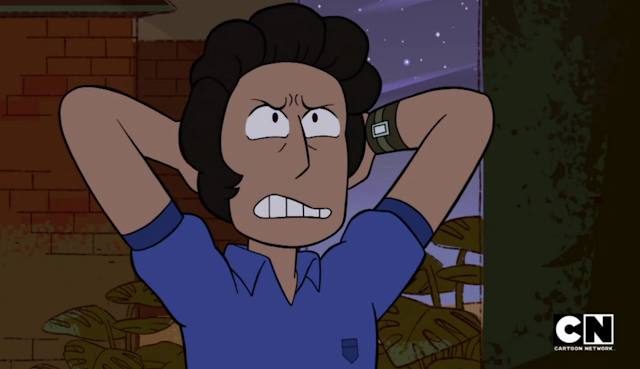 I dunno, if I saw Stevonnie in person, my last words to my family would be "You'll never be as cool as Stevonnie. But I still love you." 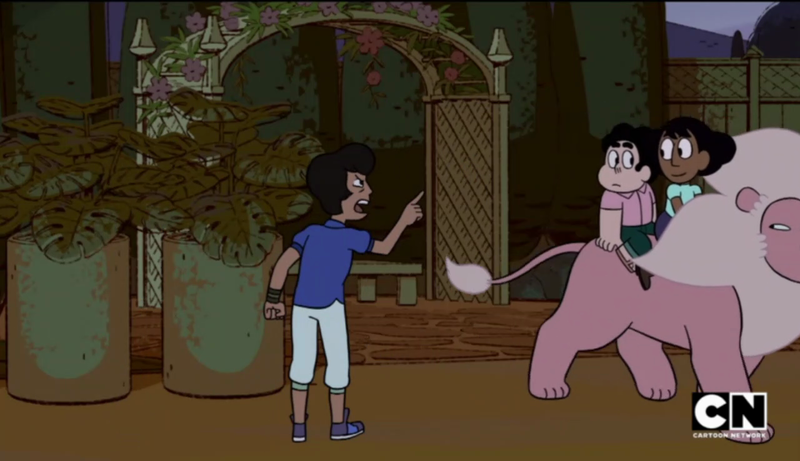 "Lion? Wait, you're the one that had him the whole time?" "What? Eugh! No, I'm allergic to dogs." Things are much simpler in Kevin's world. 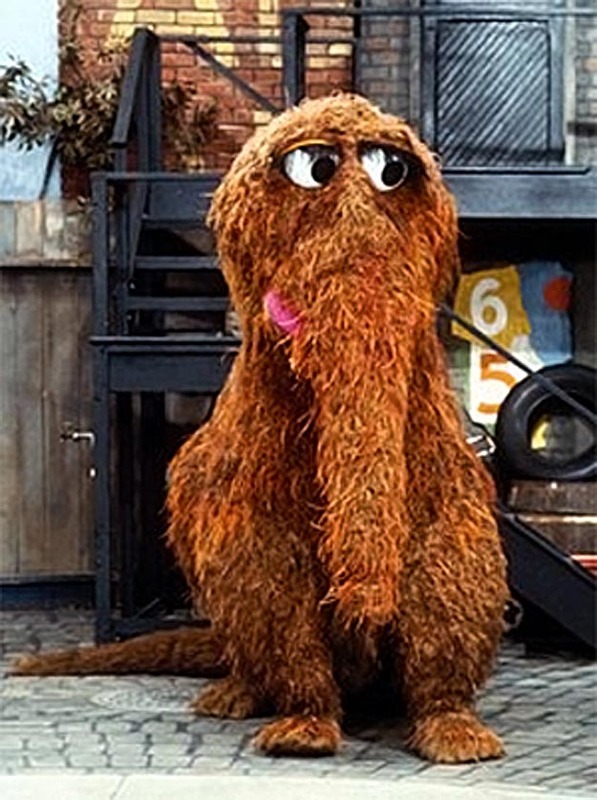 If it has 4 legs, no hooves, and fur, it's a dog. Dog. Dog. Dog. 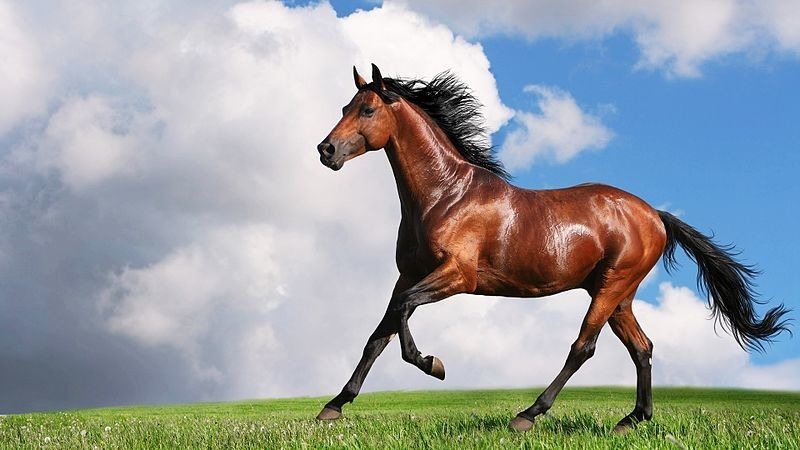 Not a dog. Dog. Dog. Dog. 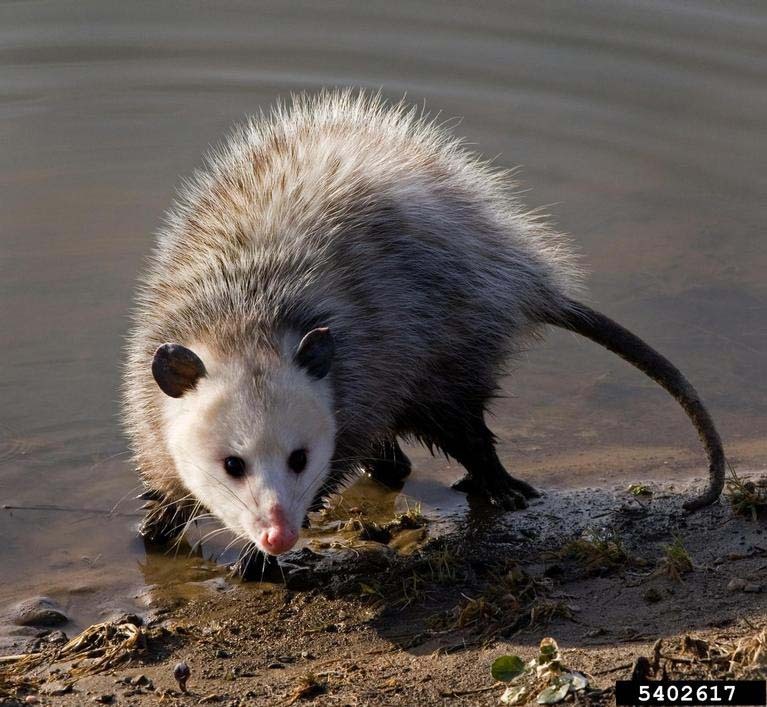 Not a dog. 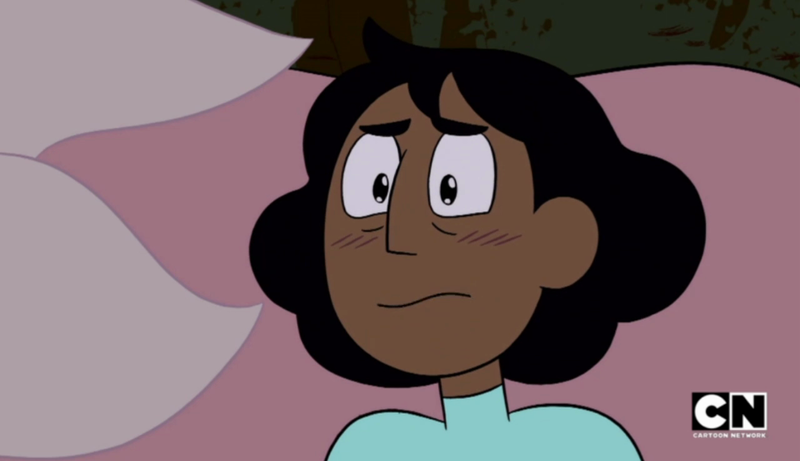 Connie's back! The show is saved! 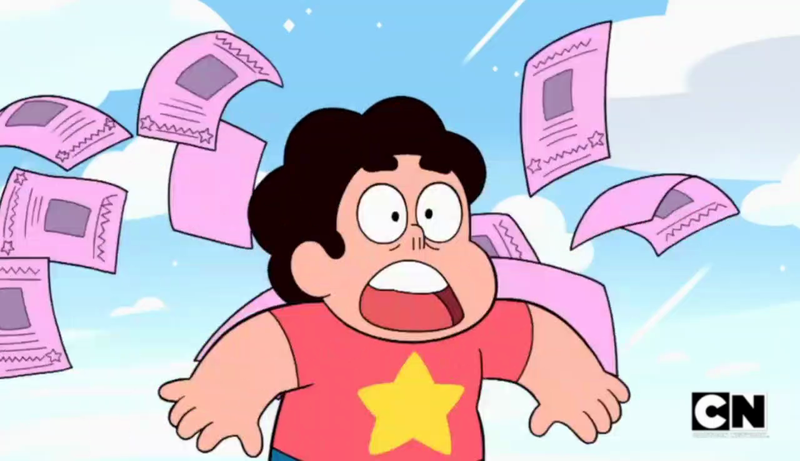 Well assuming Steven doesn't botch this. 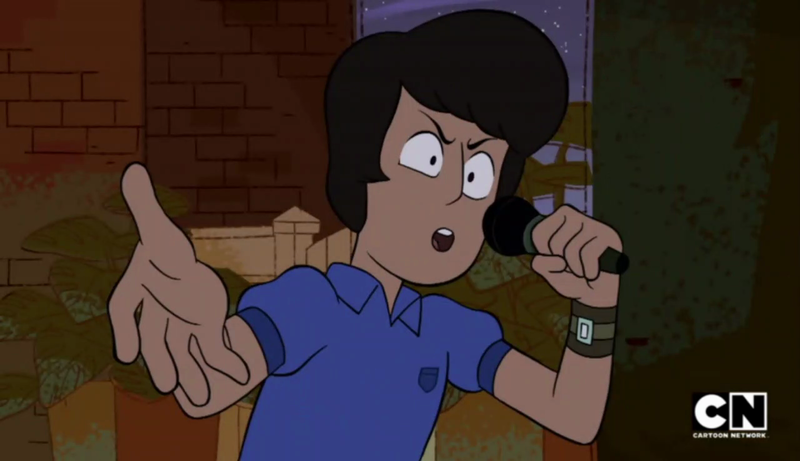 Don't you botch this Steven! Remember, if she quits, I quit! 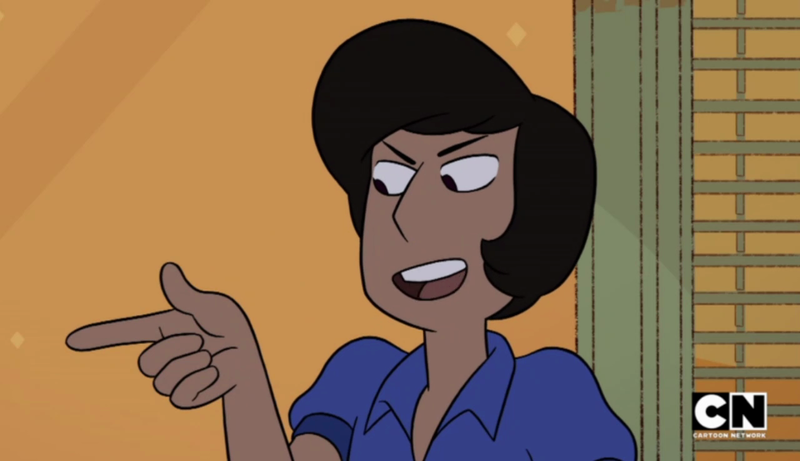 Also it's an interesting detail that she got a haircut. 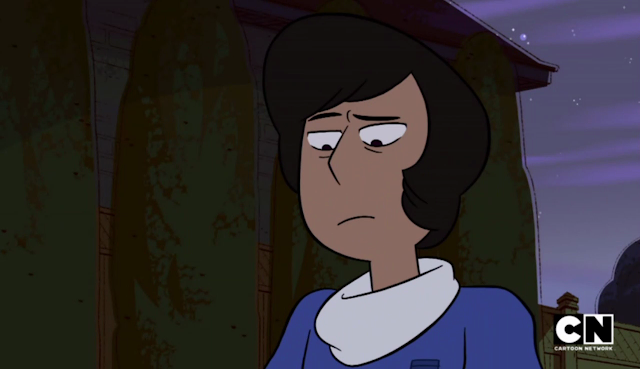 She's had the same hairstyle pretty much ever since Steven first met her, but in the few weeks since he last saw her, she changed it. 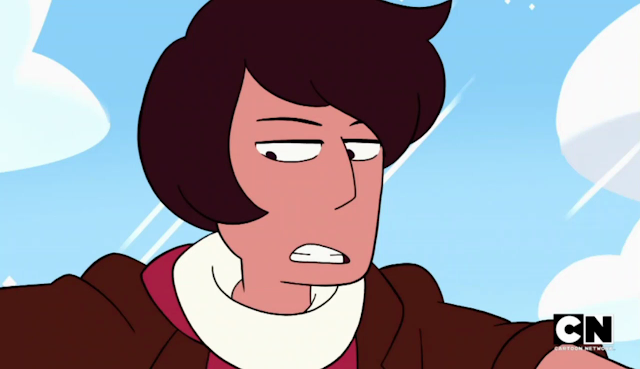 Perhaps during this time she considered maybe it was time to move on, and changed her hairstyle as a first step? "I thought she'd be here to see me, but maybe she's just here to have a good time! Maybe she's moved on!" No no no I take it back! 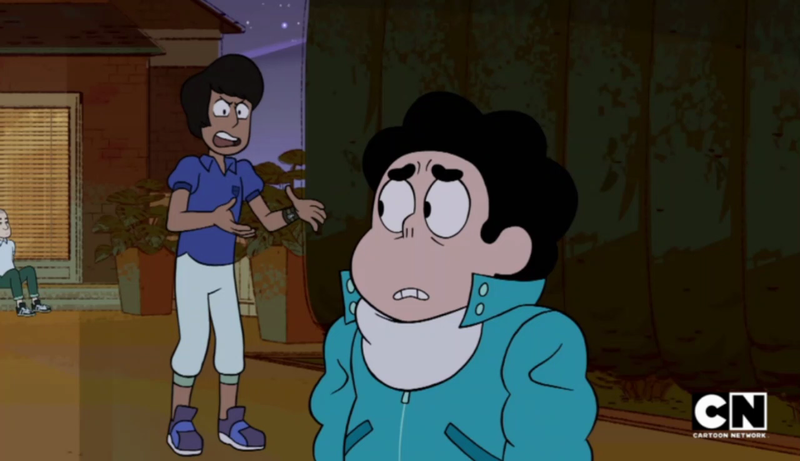 It's just a haircut, Steven! 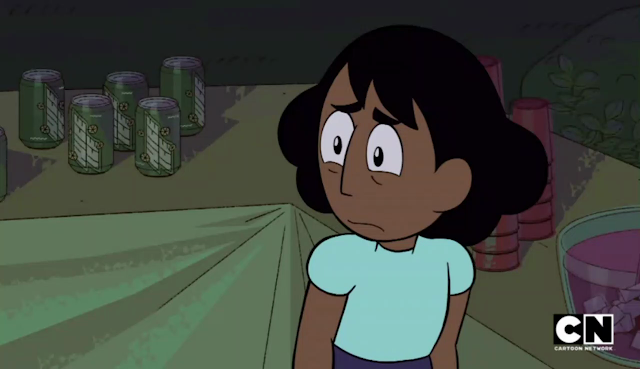 Even if she had moved on, why on Earth would Connie want to go to a Kevin party? She has to only be here because she hoped you'd be here, man! "She's moved on? Wait, did you guys break up? Can 7-year-olds even do that?" Ah, youth. Steven's only maybe 2-3 years younger than Kevin, but at that age, 2-3 years is 1/6th of your life! 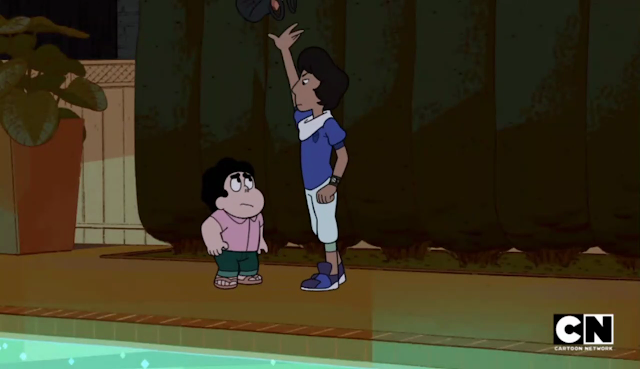 No wonder Kevin thinks Steven is still a little kid. Well, that and the fact that Steven looks young for his age. "When did this happen?" "A few weeks ago." "Hmm. You been texting her?" "Several dozen times!" "She text you back?" "Um... no?" 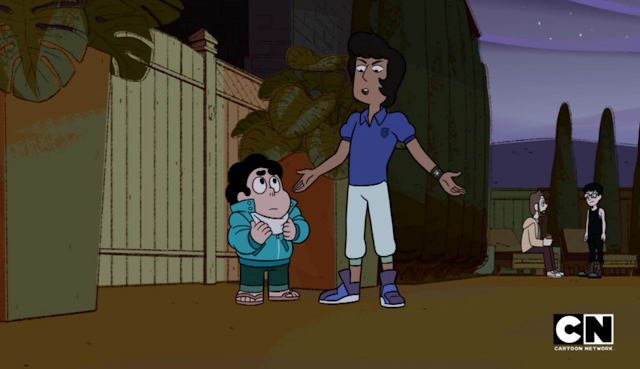 "Hmm, but she knew you'd be here..."
Hold the phone, is Kevin going to help Steven and Connie patch things up? 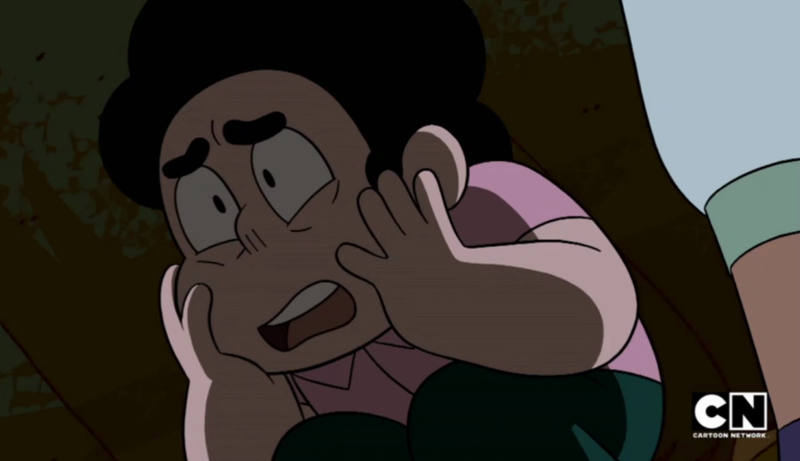 Uh oh, I think this may in fact be a Kevin redemption episode. No villain is safe in this show! "Okay, kid, listen. Wouldn't normally do this, because you're a pitiful kid with snot coming out of your nose..."
Oh yes, he's helping! Kevin's starting to grow on me. If you look past the attitude he has because he's trying to be cool, maybe he is in fact a decent person. "...but I need those old people to whisper my name when they die." Ah right, he's doing this for weird, selfish reasons. "And if you don't pull it together, you're gonna regret it! And it'll be Sabina all over again!" "Who's... who's Sabina?" Ah HA! I knew it! He does have some depth to his character! Darn, he's getting redeemed, isn't he. Emotions suppressed. Cool mode re-engaged. "Life is good! She's got a dog now." 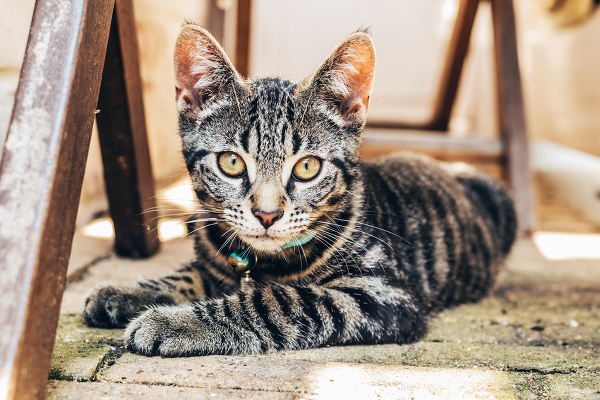 Pets are good for emotional support. 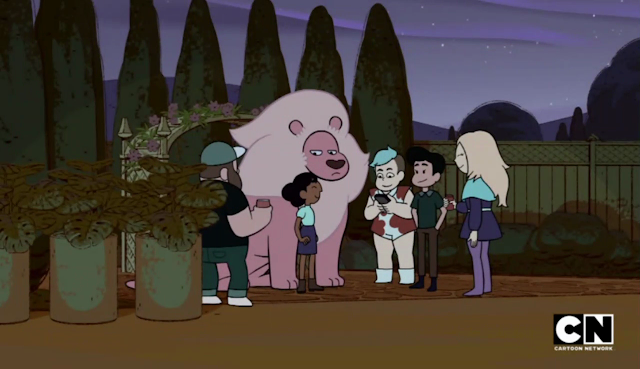 Do you think Connie has been hanging out with Lion all this time? 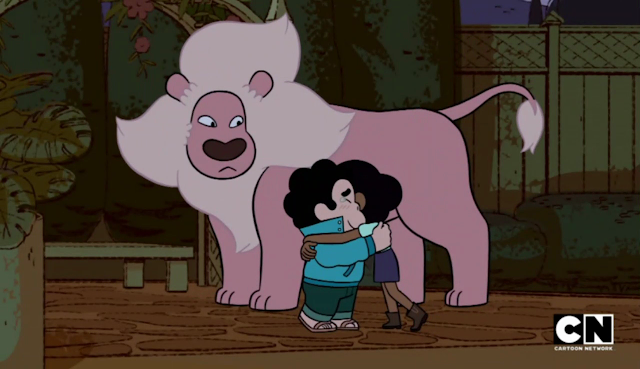 Even though Lion is probably a reminder of Steven to her? Though that would explain where he's been all this time. 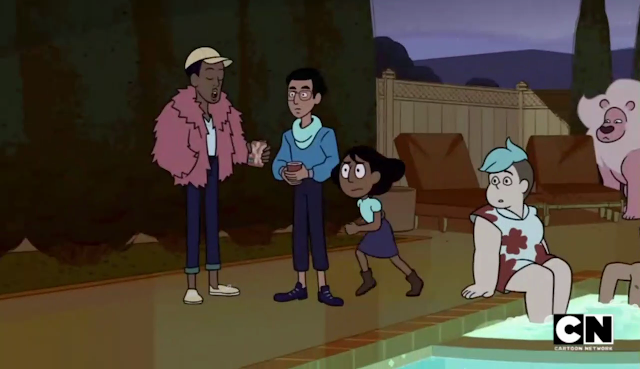 And it also conveniently makes sure the writers can't do any Lars episodes while the Steven and Connie situation is unresolved. "Right, but your life is good too. You don't need to talk to her either!" No Kevin, he does need to talk to her. That is literally the entire point of his being here. I thought you were helping? And after one of the best off-screen scuffles of all time, Steven has a new look! No matter what he tries, it's always adorable. 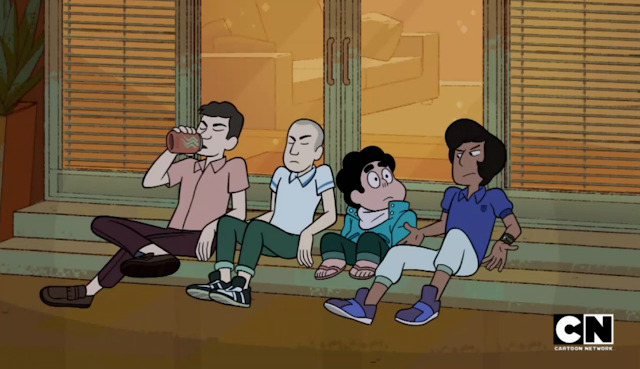 And then there's a montage of Steven trying to be cool and Connie being bothered by this. She really is the voice of the fans. I do love the music though. That perfect sync. 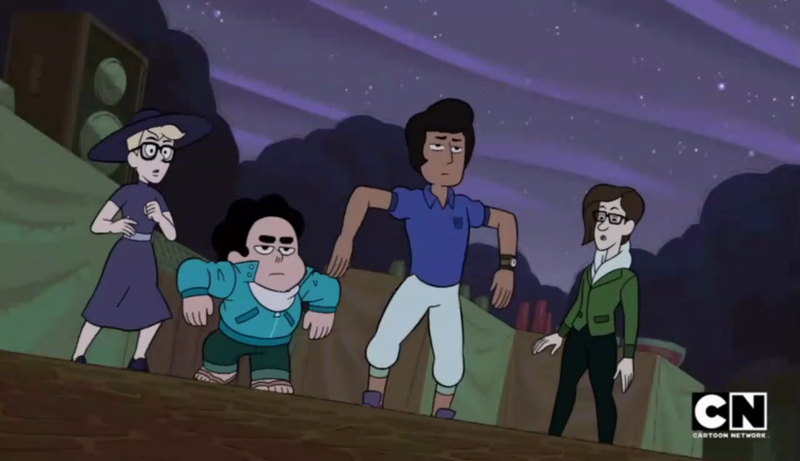 Did they like... practice this dance? "You're not dying to talk to her because you're not dying at all. You're living! Make her want that life with you." Yeah he has definitely been through this before and I'm pretty sure he didn't follow his own advice. It does sound pretty deep though. "Kevin, that... that's kinda moving!" "So move already!" Smoothest deflection ever. Kevin's right, Steven. Don't delay this any longer! "Oh, yeah I... forgot about those. Because I've been living!" No! No no no no no. 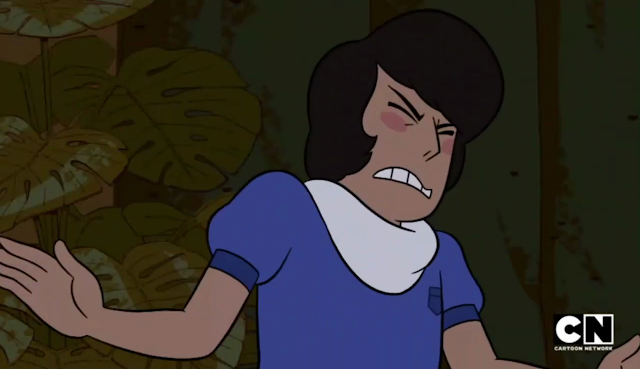 STEVEN YOU HAD ONE JOB, JUST APOLOGIZE AND FIX THIS ALREADY! "Look, little man! Your girl's making her way back for more!" Yeah and the way she's running with that look on her face means you're just lucky she isn't carrying her sword, Kevin. That perfect sync. Did they rehearse this denial? "Anyway, glad you're doing well. That's... all I really wanted to know." Welp, mission failed. Been a nice run Steven, but it's all over now. Bye folks! 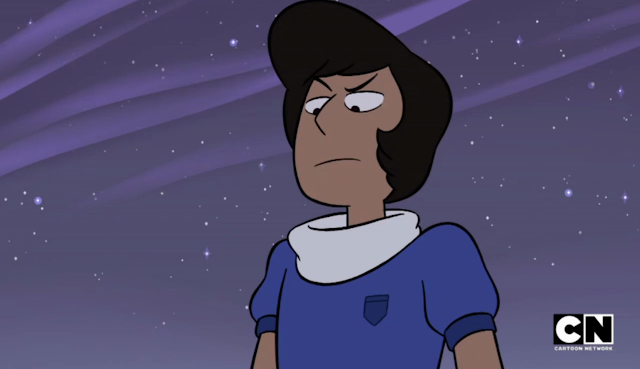 Let me know if Steven defeats Homeworld or whatever. I'm out. "Best friend, what are you kids even talking about? 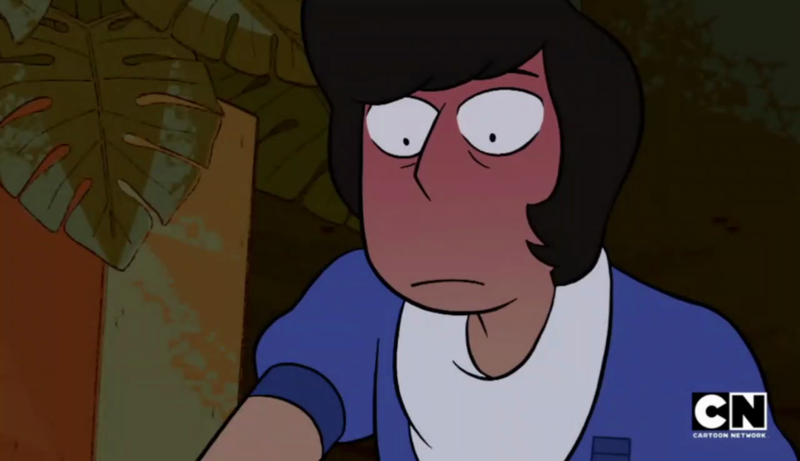 I thought she was your ex!" Look, it's complicated, okay? And you didn't help, Kevin! "Think, Kevin! How do people treat their friends?" Why am I not surprised Kevin doesn't have any friends? 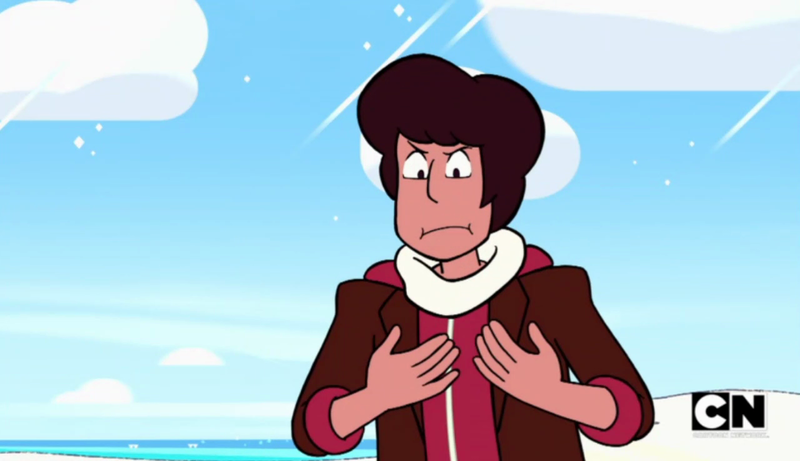 "I... I don't even know what to say to you. I'm angry... I miss you. I feel like I'm out of my mind!" Aww, poor Connie. She really has been on a rollercoaster these few weeks. Maybe she's starting to realize that it's gone slightly beyond just a friendship? Maybe. "No, you're not! 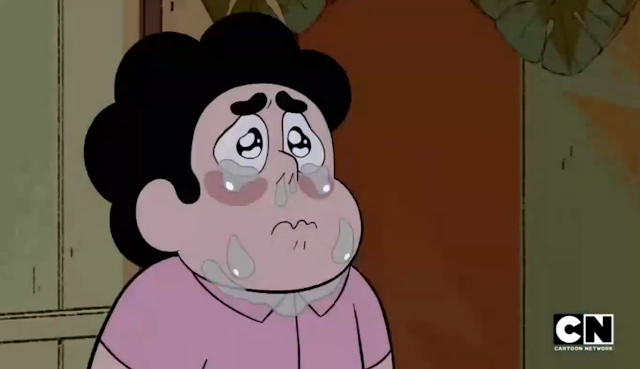 I surrendered myself to Homeworld. I let them take me away, maybe forever, and then... I came back and I tried to act like it was no big deal! But it was a big deal. 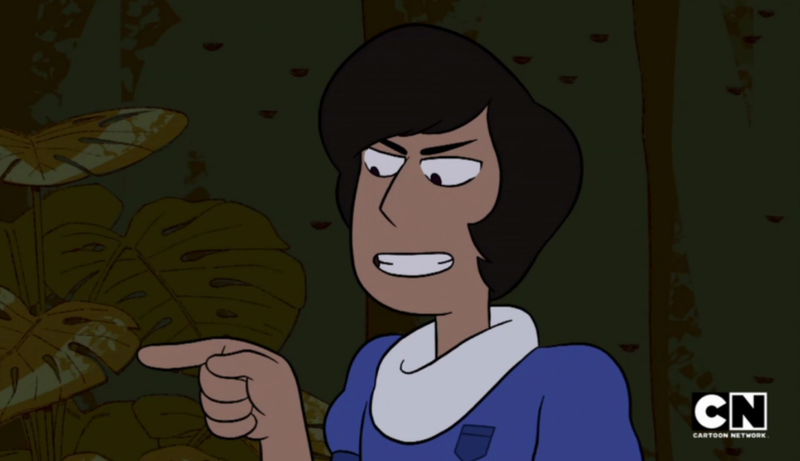 I couldn't stand the thought of you being taken away on that space ship, but then I did that to you! 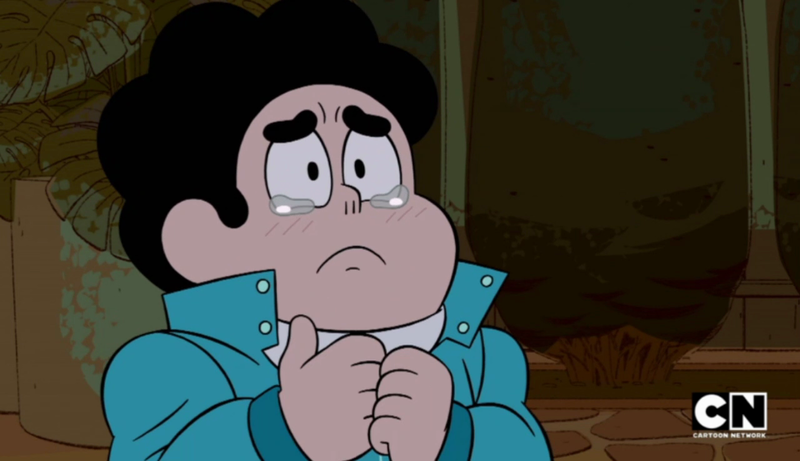 I promised you we'd all be a team, and I let you down. I'm sorry." Yes! Thank you! We finally get the straight-from-the-heart Steven apology we needed! I'm not crying. You're crying. Okay I am crying. We're all crying. Y'know, no pressure you two, but if you want to fuse into Stevonnie to finish sorting your feelings out with some mindful education, that'd be great. 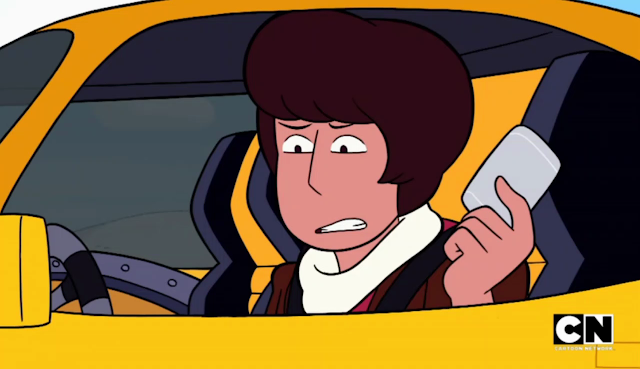 I mean this is a Kevin episode, and time is running short so if you just want to fuse... 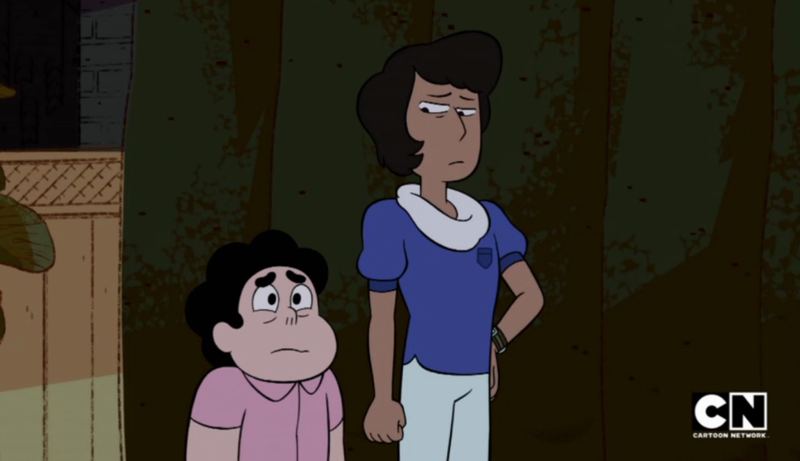 I mean we're all wondering what Stevonnie will look like with Steven's birthday shirt and Connie's new haircut in the mix. Don't do it because Kevin wants you to, do it because I want you to you want to. If you want. "I think he got his heart broken. It's actually really sad." Looks like they're not going to dive into this today, but the seeds are sown. We will probably get a Kevin redemption episode in the future folks, so get your anger in now! 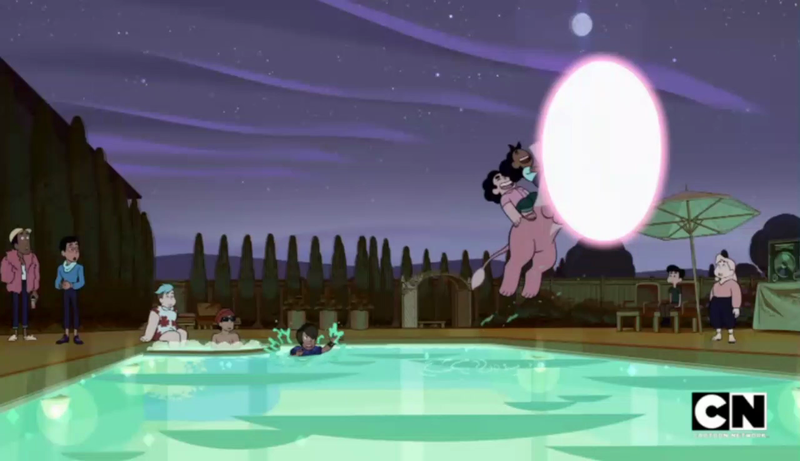 I love how Lion just casually steps onto the pool to troll Kevin. Y'know, I think in the end, Kevin got what he wanted. Two kids riding a water-striding Lion into a magical portal? That'll get 'em talking into their old age. Most of them will be talking about it because they worked on the show, though. 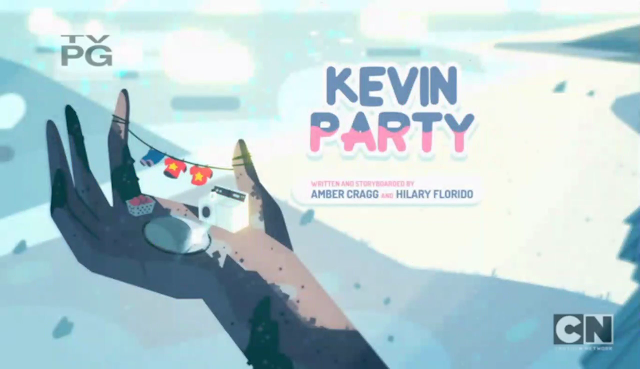 And I hope the Crewniverse all had a good time at Kevin's party because BREAK TIME IS OVER FOLKS, GET BACK TO WORK! 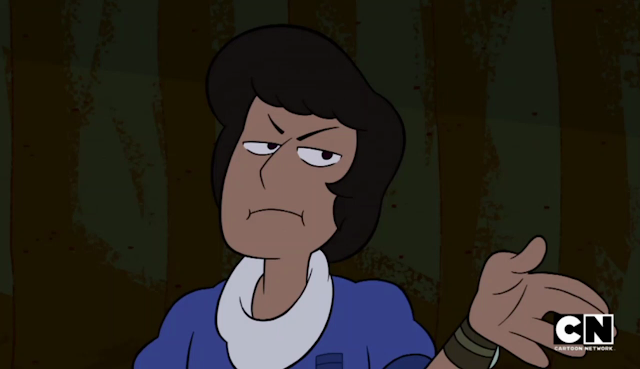 We're out of episodes and you are not giving us a 100+ day hiatus again, right?